W.H. Freeman & Company, 9781429246446, 389pp. 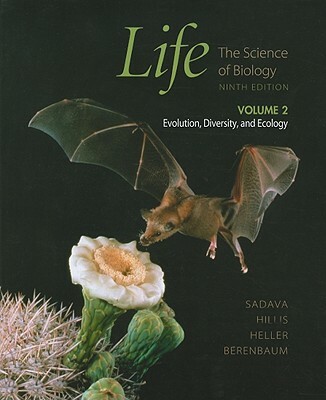 From the first edition to the present, Life has set the standard for being the most balanced experimentally-based introductory biology text. Life has always presented how we know (the process of science through experiments) as well as what we know (facts derived from these experiments). The new edition builds on this legacy, again teaching fundamental concepts and the latest developments by taking students step by step through the research that revealed them. To achieve this, all of the Ninth Edition's innovations--new authorship, new and reororganized chapters, new experimental content, enhanced features, reinvisioned art, and new media tools--are focused on giving students and instructors the best tools for bringing the best of biological research and applications into the introductory majors biology course. - Solid waste eliminated: 28,335 pounds.